Every week, we’ll bring you a must-hear track from the Le Guess Who? 2018 line-up. 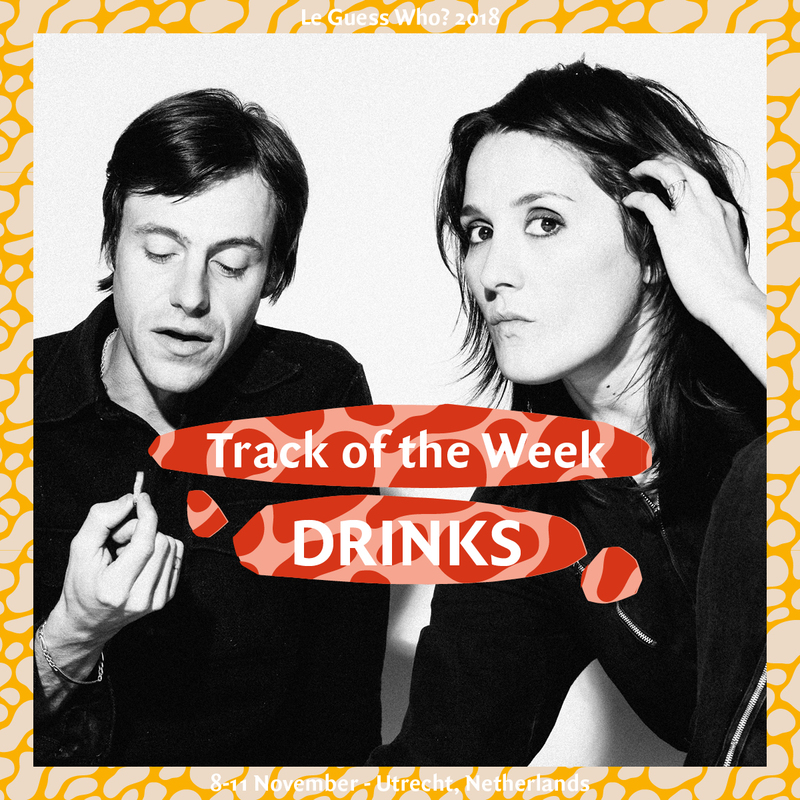 This week, it's 'Corner Shops' by Tim Presley (White Fence) and Cate Le Bon, who together form the pleasantly cuckoo avant-rock duo DRINKS. 'Corner Shops' is the second single from the band's latest album 'Hippo Lite': a playful and extremely catchy track that won't leave your head anytime soon after you've heard it. The album was written and recorded on a summer retreat in France, where Presley and Le Bon were making music with any sound they could collect, including symphonies of insects and frogs, while bird-watching and swimming in a nearby river. Watch the official video below. Want to discover more? Check out our official 2018 playlist. DRINKS' performance at Le Guess Who? 2018 is curated by Devendra Banhart. This curated program also features Vashti Bunyan, Ebo Taylor, Jessica Pratt, Shintaro Sakamoto, Rodrigo Amarante, Joan of Arc, Shannon Lay, Sun Foot, and many more.